There’s a store I love to visit every time I am in Hong Kong – Goods of Desire, otherwise known around town as G.O.D. They have an amazing plethora of cool, quirky funky items – perfect for oneself or as a gift to someone else. Things like eyemasks for travel with panda faces, photo frames, t-shirts with witty expressions in both Chinese and English, pencil bags made from recycled material and featuring graphics of old Hong Kong, etc. I am a big fan of their tableware which is a mash-up of East meets West, with Western style ceramics emblazoned with Asian style graphics and symbols. But really caught my eye on my last trip was there unique take on mooncakes – yes mooncakes! Mooncakes are the ubiquitous Asian, baked, sweet treat that accompanies the mid-Autumn festival, this year on 19 Sept. Celebrated since the 10th century, mid-Autumn festival is one of the 4 most important Asian holidays and is celebrated all over Asia – from Thailand to China. It is about celebrating the autumnal equinox and the changing of the seasons – historically the end of the harvest. But even with farming no longer a part of daily life for many, the much revered festival continued. Nowadays, it’s about spending time with family, celebrating and…of course eating mooncakes. Mooncakes are routinely given as gifts to friends, family and business colleagues. And the fancier types carry more prestige when given as gifts… if they come from the Peninsula Hotel or Four Seasons, all the better. What exactly are mooncakes – for the uninitiated? 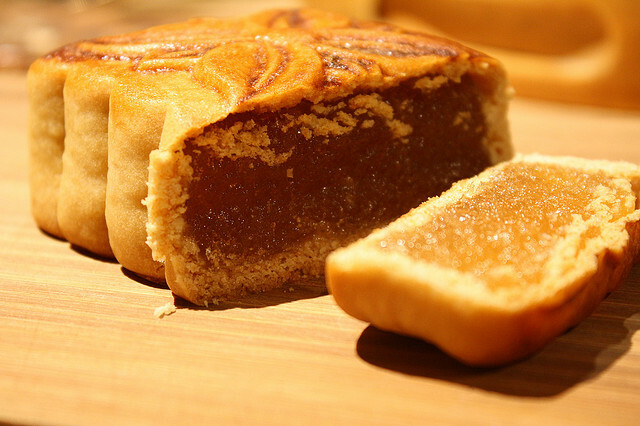 Mooncakes are to mid-Autumn festival as candy canes are to Christmas or Easter eggs to Easter. Specifically, they are pastries with a chewy flour crust exterior with different fillings. Fillings are usually influences by regional tastes and can range from red bean paste to lotus seed paste or even durian paste in Thailand. The design on the mooncake is symbolic using Chinese characters and typically depicting a scene of good fortune. To be honest, they are not my favourite. But this year I must just buy some….from G.O.D. in Hong Kong. Leave it to G.O.D. to produce the cheekiest mooncake I have ever seen – literally! 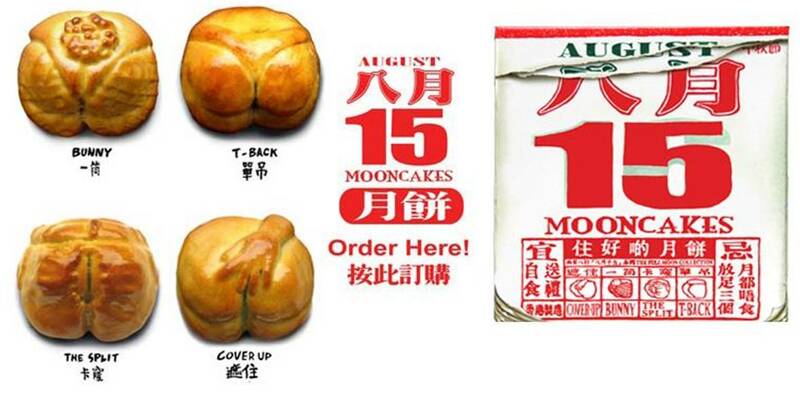 With their typical East meets West sense of irony, they have made the mooncakes that actually “moon” you in the Western sense – meaning show you their bum. So instead of the meaningful, traditional messages typically “baked” into the mooncake, it’s all about the ironic twist that emerges in the mash-up of cultures. This is not your grandmother’s mooncake, and most definitely is not an appropriate gift for your mom or boss, but maybe for your BFF at work or old school buddies.